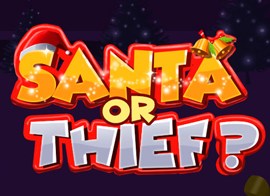 Santa Or Thief is an online game that you can play on Makkamadinaa.Com for free. Santa Or Thief is a fun platform game. At Christmas, the children got the holiday gifts from Santa. However, the thief wants to steal all these gifts. A thief dressed as Santa needs to sneak into the room to collect gifts as many as possible. Have fun playing Santa Or Thief.